The Nason family rocks out to Tchaikovsky's The Nutcracker ballet score on road trips these days. 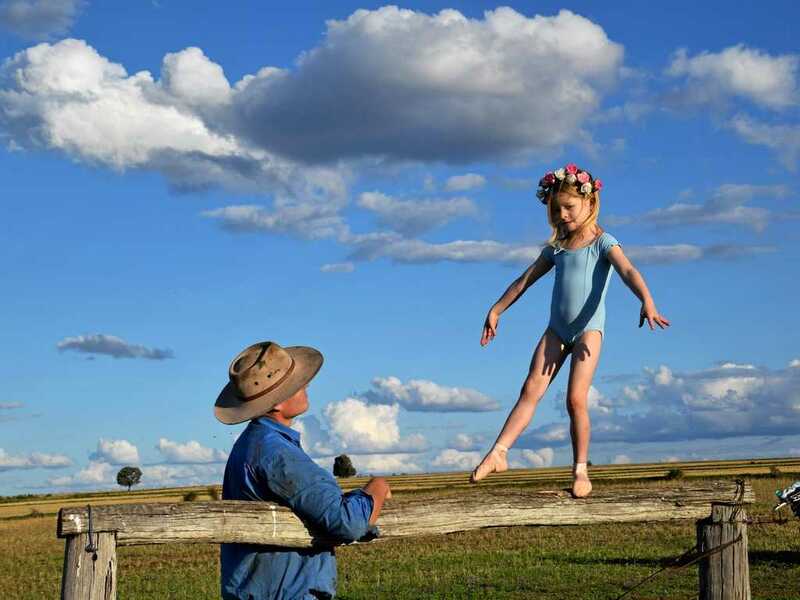 Mum Sarah says it is the perfect soundtrack for her ballet-obsessed children during frequent trips between their farm about 40km from Millmerran, in western Queensland, to Toowoomba or from Toowoomba to Brisbane. "We pulled up somewhere the other day and people were just looking at us. I just said 'hi, yes, this is our classical music'," Sarah says. "We've got Tchaikovsky blaring as we're driving around in our dirty old four-wheel drive." 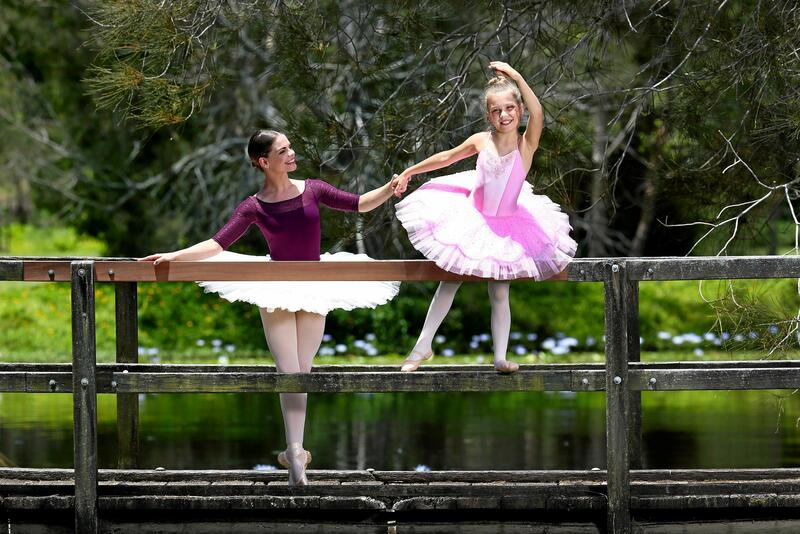 Two of her girls, Olivia, 9, and Florence, 5, have experienced the Queensland Ballet's Wish Upon a Ballet Star competition, which has led the family down a path of dance - hence the frequent road trips to dance school in Toowoomba and rehearsals in Brisbane. The competition calls for dancers across the state to submit a photograph and short blurb on their love of ballet. Finalists are chosen from the applications, and this year the kids travelled to Brisbane to dance in front of company experts. The winner gets the chance to dance in a Queensland Ballet production. Olivia won the competition in 2014 and performed in The Nutcracker production with the company that year. 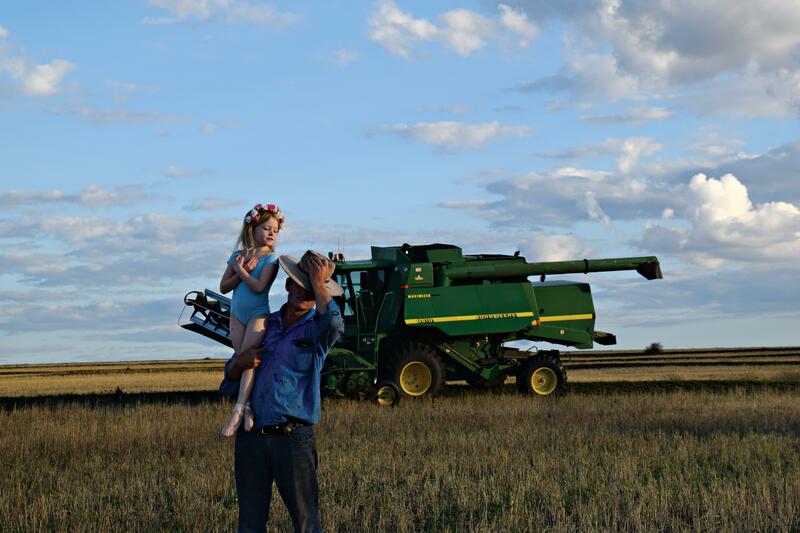 Sarah says Olivia's win came at the perfect time for the family after a tough period of drought on their farm. "It was really nice for the whole family. To our family, it has been a fairytale," Sarah says. "We're still in our fairytale." Florence entered this year and was named a finalist out of 486 entrants, but did not make the final cut. Sarah says she is not sure if her "Floss" has actually twigged that she did not win, such is her excitement. "When she was named a finalist we couldn't believe it," Sarah says. "They got pointe shoes (from the company's dancers). The shoes are not particularly shiny any more, they have been carried around and worn so much." Olivia will still dance in The Nutcracker this year after she successfully auditioned for a children's part in the ballet. "If we hadn't entered this competition, I know Liv wouldn't be doing The Nutcracker now," Sarah says. "Flossy wants to be a ballerina too. "It has changed the path of the family." This year's competition winner, Imogen Hess from Elanora on the Gold Coast, will also grace the stage in The Nutcracker. And Queensland Ballet's artistic director Li Cunxin is making a dancing comeback. After 18 years in retirement, Li will star in a one-off performance of the ballet. Li says his preparation for the sold-out show on December 10 is going well, but he did not anticipate the pain threshold as old injuries begin to bite. "I would be lying to you if I said it was really easy," he says with a laugh. I was hoping that some of my old injuries would be healed in the past 18 years but no such luck. The 56-year-old is practising ballet daily, undergoing physio, doing fitness in the Pilates studio, weight training and swimming. "It's all because of the Suncorp Wish Upon a Ballet Star initiative. For me to come back ... it was something I felt was very special to dance with this particular child, a future generation's star but also with our wonderful artists in the company," Li says. Li's dance career began in his birth country of China under the Mao regime. He danced for the Chinese communists before continuing his career in the US with the Houston Ballet company. He met Mary McKendry, an Australian dancer who became his second wife, at the American company and they eventually settled here. Li and Mary, who celebrated their 30th anniversary last month, have three children. Li details his life in his memoir, Mao's Last Dancer, first published in 2003. He is particularly sentimental about The Nutcracker - it was the first ballet he performed when he was dancing in America, the first production his parents watched him perform in during his US stint, and it was the last ballet Li and Mary danced together on stage. "It still has that magical memory in my mind because it was my first (in the west)," Li says. It is now his comeback production, in which Mary will also perform. He stars as the magician Drosselmeyer, a first for the talented dancer who was usually given the more technically challenging role of the Nutcracker Prince. The choreographer has also added a dancing part to Li's role this year so the audience can expect something new and different during the production. Li says offering regional dancers the chance to audition for coveted roles on stage with the Queensland Ballet is really important. "It's a once-in-a-lifetime opportunity to be offered something like this, obviously there's so many children who dream to become a ballerina on stage, particularly in an iconic ballet like The Nutcracker. To give regional Queensland kids this opportunity to be the star on the stage is so, so magical. He says their experience will change lives. "It's so aspirational for them." Li says the Queensland Ballet has also made an enormous effort to give regional audiences access to ballet through its tours across the state.